I call it the "blogfolio." It's what you do when your website isn't quite done and you need a place for people to see your work. Hope you like! 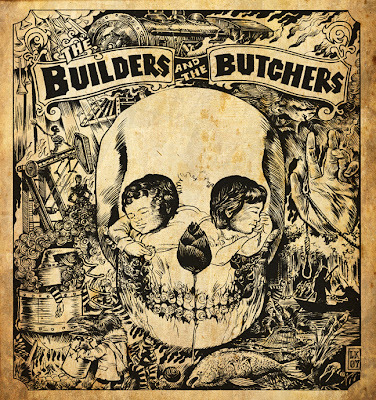 This album art was done for a local Portland band called The Builders and the Butchers. I'm happy to say that they're getting pretty popular, and are spreading this image around town in the process. Seriously..how do i get prints of your work..like this one..but ..like a ginormous poster(s).My husband likes the band-but also likes oldtyme art with evil themes. Thanks for sharing this. Tent Suppliers in Mali | Tents Supplier in Gabon | Tents Supplier Benin I really appreciate this. Keep up the good work. Hey all, this my work blog where the work lives. Need some illustration work? Drop me a line! All rights to work and content are reserved. No content may be copied or used without permission.